Manchester United scouts have urged Jose Mourinho to sign Hoffenheim’s highly-rated defender Niklas Sule. 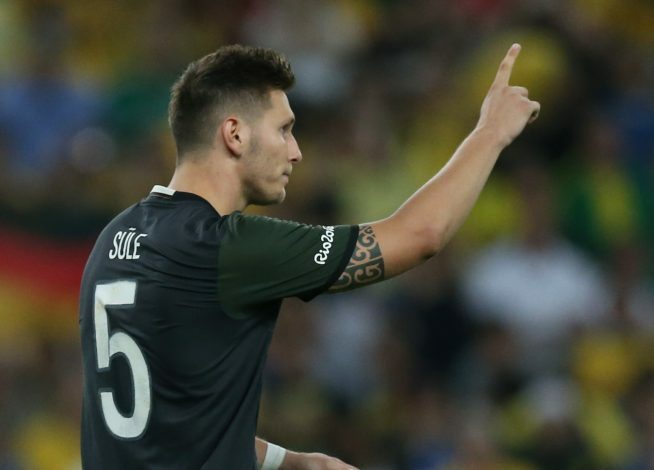 Sule has been enjoying an impressive form with his club this term, and is believed to be attracting a lot of interest from Europe’s elite clubs. Chelsea are apparently the frontrunners to sign the centre-back, with ESPN reporting that he is now on top of Antonio Conte’s January wishlist. Meanwhile, German news outlet Bild has claimed that both Arsenal and Tottenham have already sent scouts to watch the 21-year-old’s impressive displays. However, Manchester United could soon enter the race, with Daily Record reporting that Mourinho has been told to start the proceedings to bid for the German sensation. The report further added that Mourinho has already received recommendations from the United scouts, as he is said to be chalking out a plan for defensive reinforcements in January. The United boss is still unable to settle on a defensive partnership so far this term because of persistent injuries. Summer signing Eric Bailly and Chris Smalling are both out of action, which has forced the Portuguese to utilise Marcos Rojo and Phil Jones. Although the makeshift centre-back pairing has performed quite well in the last two matches, it is not likely to be Mourinho’s long-term solution. Benfica centre-back Victor Lindelof is another potential January transfer target for Manchester United, with his agent Hakan Cetinkaya even claiming earlier this week that his client could be ready to leave the Portuguese champions in January. “The transfer window isn’t open yet, but Victor is already very much in demand,” Cetinkaya said. “As a result, I’ve scheduled interviews with some of the biggest clubs in Europe to talk about his future.